In a world where consumers can have anything, it is often challenging to create an identity. Trying to establish a brand successfully amongst the ‘big players’ of business, in any industry, is a very hard craft. But there is one marketplace that’s allowing new brands to quickly break into the mainstream: crowdfunding. Crowdfunding is a carefully constructed cocktail; tried and tested upon many new businesses, with overwhelming success at providing credibility for new brands. But why is it so effective? To create a brand, in any instance, you need a guaranteed pipeline of interest and demand. Balancing the delicate equilibrium of having a refined product, and knowing what the market wants, is the difference between a product flopping or flying off the shelves. Crowdfunding enables you to identify and establish your target market, invest its expertise further by getting honest feedback, and give you a platform for future growth by having a passionate and vocal audience to promote your marketing campaigns. 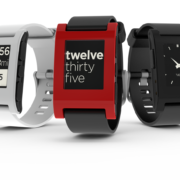 The Pebble Smartwatch Campaign is the perfect example of how these factors can come together to achieve optimum momentum, with funds of $1m being gained within just 28 hours of being launched through Kickstarter. An effective crowdfunding campaign will attract initial interest from backers who are inspired, who truly believe in your product, are passionate and giving. This allows you, as a business, to communicate, to connect, to drive a force, to set goals, to thrive, to have all the attributes that make a modern brand. ‘Skully’, now an established brand, invented ‘the world’s smartest motorcycle helmet’ by using advanced technological features such as a heads up display, situational awareness and connectivity, in order to improve the safety and driving experience for motorcyclists. The campaign, which smashed its original target of $250,000 to an impressive $2,446,824, continues to be a success. The Skully campaign has now collected a loyal backer base, therefore they can continue their project, and invent more innovative products with the funds raised through Indiegogo. One of Indiegogo’s biggest campaigns to date, Solar Roadways, has raised funds in excess of $2 million. Co-inventors Scott and Julie Brusaw, leveraged the knowledgeable user base of Indiegogo in order to increase exposure, raise funds and employ more engineers. The campaign video soon went viral and rocketed its success. This type of innovation could improve quality of life for our children, and our children’s children. This should be the ultimate aim for a modern, ethical brand; to supersede the expectations of all of us, to positively change the world and to sustain it for generations to come. In the short time that crowdfunding has been available it has fortified this new way of thinking about a brand. It has created opportunities that go beyond the traditional thinking behind a brand; it has allowed our society to actively support the ideas that will better the lives of all of us. In an analogy, building a new brand could be compared to a tree. Without the essential products, water, soil and co2 the tree can’t survive, let alone grow. However if a tree is provided with a consistent supply of all these products the tree will flourish, the branches becoming longer and leaves becoming greener. Without market research, financial planning, marketing and advertising your business can not survive or grow. Crowdfunding offers all of these essential elements to your seedling brand, giving it the potential to branch out, to make stronger connections with your customers; leading to successful brand loyalty as well as brand reputation and image.